Anyone who’s been to NHL.com has read some of their punny headlines. Here’s some of the best ones from the past week. Vote which one is best at the bottom. Chris Osgood has announced his retirement today, and NHL fans should be celebrating his long, storied career. Yet his retirement promped the debate whether or not he should be a Hall of Famer. 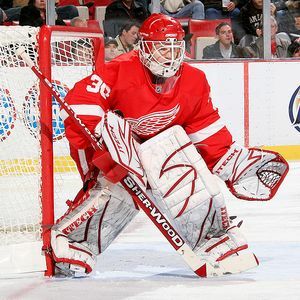 His resume includes being tenth all time in wins (401) in 17 seasons with the Red Wings, Blues and Islanders. He also has 3 Stanley Cup rings (’97, ’98, ’08), although one of those (’97) he was not the starter for. So he should be a slam dunk Hall of Famer, right? After the regular season, we took it upon ourselves to vote for five major NHL awards (Hart, Vezina, Norris, Calder and Adams). With the awards show tomorrow night, let’s take a quick look back on how we did voting wise and who the frontrunner for those awards are. This year, the three finalists are: Anaheim’s Corey Perry, Vancouver’s Daniel Sedin and Tampa Bay’s Martin St. Louis. Our voting had Perry, Sedin and Tim Thomas. With no disrespect to St. Louis, this is a two horse race. Corey Perry had 50 goals and dominated down the stretch. Sedin scored a career-high 41 goals, and 104 points, winning the Art Ross. Both guys are deserving but there can only be one winner. This season Perry’s been the most valuable to his team and should pick up the Hart. However, Sedin should win the Ted Lindsay (Most Outstanding Player) award. The Canucks’ Roberto Luongo, Predators’ Pekka Rinne and Bruins’ Tim Thomas are the finalists for the Vezina trophy. All three made were our finalists also. Thomas should dominate the voting and easily pick up the hardware this year, which would be his second Vezina (2009). Zdeno Chara, Nicklas Lidstrom and Shea Weber are the 2010-11 finalists. Our voting was close, with those three defenseman along with Lubomir Visnovsky finishing as our top vote getters. (Yes, I know that is four, but we had a 3-way tie for 2nd). Even though he’s not as well known as his co-finalists, Weber had a fantastic season and should win his first NHL trophy. 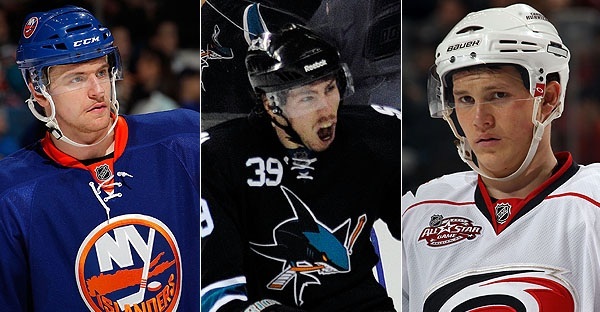 This year, the Sharks’ Logan Couture, Islanders’ Michael Grabner and Hurricanes’ Jeff Skinner are the NHL’s finalists. Once again, our top 3 voted finalists match the NHL’s. All three topped 30 goals and 50 points. Couture and Skinner will likely go 1-2 (in some order) but Couture is the pick here. The NHL’s finalist for the Adams Award are: Pittsburgh’s Dan Bylsma, Nashville’s Barry Trotz and Vancouver’s Alain Vigneault. Unfortunately, of those three only Bylsma made our finalists. The other two were Tampa’s Guy Boucher and New Jersey’s Jacques Lemaire. The frontrunner should be Bylsma, who almost won the Atlantic Division, despite his two best players (Crosby and Malkin) being injured. Our voting produced 12 of the 15 NHL’s finalists. So who will win some of the other awards? Ryan Kesler seems like the heavy favorite to unseat 3-time defending winner Pavel Datsyuk (a co-finalist) for the Selke Trophy. Datsyuk isn’t even going to Las Vegas for the awards show, and could be a sign of a new winner. The Blackhawks’ Jonathan Toews is the other candidate. The Lady Byng was another Datsyuk specialty, winning four times since the lockout. However, he was in a fight this season which prompted the internet to joke that he “blew his Byng chances.” Last year’s winner Martin St. Louis is in the running once again, along with Lidstrom and Dallas’ Loui Eriksson. St. Louis will probably win the award again this year. The Masterton trophy is given to a player that shows perseverance and this year’s field has gone through a lot. Ray Emery (degenerative hip condition), Daymond Langkow (neck injury) and Ian Laperriere (brain injury) all are deserving, but this year’s winner has to be Emery. Thought to possibly have trouble walking in the future (let alone playing hockey), Emery rehabbed most of this season, and signed with the Ducks in February, playing in 16 games (including playoffs) for Anaheim. One other award up for grabs is the Messier Leadership award. Chara, Lidstrom and Phoenix’s Shane Doan are this year’s finalists. The Coyotes battled relocation rumors all season and still managed to finish fifth. Doan’s been Phoenix’s captain since 2003. He was also Canada’s captain in the 2007 World Championships. He should be recognized for his leadership. Two American NHL veterans are hanging it up after long careers. Detroit Red Wings defenseman Brian Rafalski is walking away from a contract that had one year and $6 million remaining. The 37 year old defenseman’s decision was helped by his current injuries. He reportedly played without an ACL in this year’s playoffs. Rafalski played 833 NHL games with the New Jersey Devils and the Detroit Red Wings. In his 11 years, he scored 79 goals and 515 points. He was a member of three Stanley Cup teams (’00 Devils, ’03 Devils, ’08 Red Wings). He’s also won an Olympic silver medal twice with USA, in 2002 and 2010. 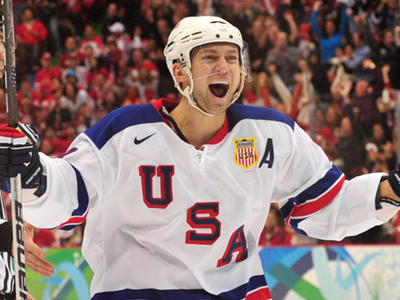 In 2010, he was named to the all-Olympic team, as well as best defenseman, after finishing the tournament first in defenseman scoring (8 points). Rafalski was a two time all-star, in 2004 and 2007. One of the underrated defensemen of his generation, Rafalski’s sudden retirement leaves the Red Wings with $6 million to play with in the offseason. That number could grow if his blueline mate Nicklas Lidstrom also decides to hang up the skates. Rafalski’s teammate on the 2002 US silver medal team, Doug Weight, is also expected to announce his retirement this week. Unlike Rafalski, Weight has made his way around the NHL, playing 1238 games with the Rangers, Oilers, Blues, Hurricanes, Ducks and Islanders. Weight tallied 278 goals and 1033 points in his 21 year career. In addition to his 2002 silver medal, he’s represented USA in the 1998 and 2006 Olympics. Also in 2006, Weight got his named etched onto the Stanley Cup as the Hurricanes beat the Oilers. The four time all-star picked up his 1000th point with the Islanders, an assist on a Richard Park goal in a game on January 2, 2009 against the Coyotes. He became only the eighth American and 73rd NHLer to hit the 1000 point mark. His 1000th career game came with St. Louis against the Oilers on November 16, 2006. Weight was the 25th American to reach the mark. Hats off to great careers, guys. Here’s to happy retirement for the both of them! As the NHL season comes to a close, we are going to vote on the NHL Awards, and four of us will pick one candidate each to “campaign” for. At the bottom, you will see balloting and the final results. While there are several worthy candidates for the Norris trophy, there’s no doughty about who this year’s recipient should be. All puns aside, the top defenseman in the National Hockey League this season is Drew Doughty of the LA Kings. For a young guy playing only his third season in the NHL he’s playing as though he’s been in the league for 20 years. (While looking at his numbers I saw NHL Seasons: 3 and said, “No. There’s no way!”) Coming of a sophomore campaign where he was nominated for the Norris, he had 40 points and helped anchor the defense of the young Kings team. 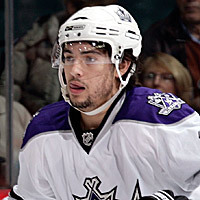 With that, young Drew Doughty has earned this year’s Norris trophy. Visnovsky has to be the Norris favorite after leading all NHL Defensemen in points (62), and finishing second in goals (18). 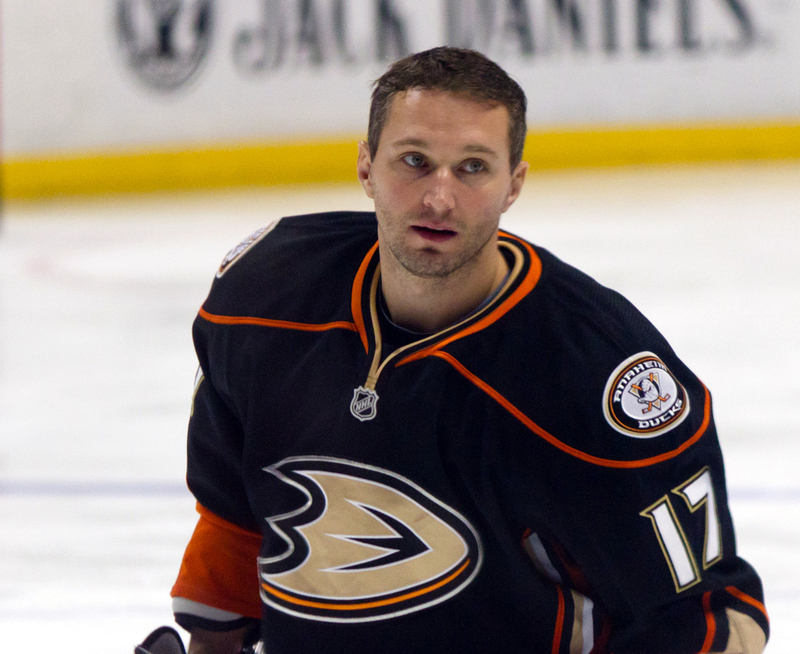 He’s played over 24 minutes per game for the Ducks, being a rock on their blueline when the team needed it the most. His 116 blocked shots are ahead of the likes of other Norris candidates such as Weber, Letang and Chara. His +18 is pretty respectable and his 5 Power Play goals and 31 Power Play points are part of the reason the Ducks finished second with the man advantage. 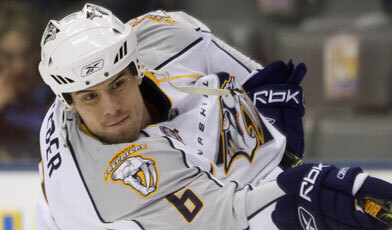 For the Norris trophy a man you should consider is Shea Weber. He might not have as many points as some, but he has been a real workhorse for the Nashville Predators. He is averaging 25:19 in ice time and 29 shifts per game. 2nd on the team in blocks and 1st in hits, he knows what it takes to get the job done on the ice. I’m sorry say that again…Yandle is 24? Hard to believe that this year’s most consistent defenseman in all facets of the blueline game is young buck Keith Yandle of the Coyotes. 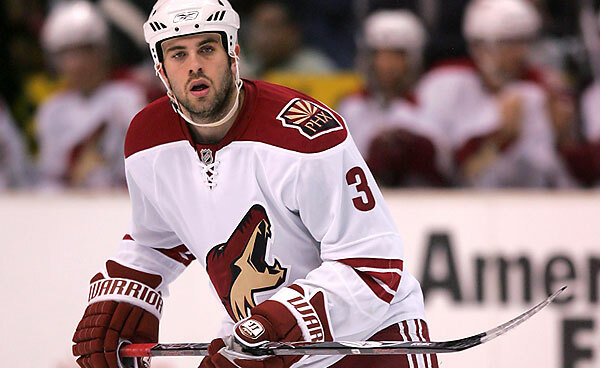 Handling top minutes and opposing teams’ best forwards night in and night out in lieu of Zybnek Michalek’s departure to Pittsburgh could easily have been a sign of tough times for Yandle this year. Except not only has he filled in admirably but he has only improved in stats and intangibles for the third consecutive season. Considering the typical development of an NHL ready defenseman, we may be looking at the next big thing on the blueline for a long long time. This is no flash in the pan; this is a Norris candidate for years to come.